Hugh Evans (born 4 March 1983 in Melbourne, Victoria) is an Australian humanitarian. Evans is the co-founder of both The Oaktree Foundation and the Global Poverty Project. He has received domestic and international accolades for his work in promoting youth advocacy and volunteerism in order to reduce extreme poverty in developing countries. The greatest injustice I witnessed this year happened, not when comparing the poor of India to the rich of India, but upon arriving home. I couldn't understand why we as Australians are so determined, even to the point of complaining, to get the latest mobile phone … then comparing this to walking through the market of India and seeing a man with no legs, simply a piece of rubber tied to his waist to stop the skin on his pelvis from scraping away … all he asks for is the equivalent of 20 cents. A further trip to the rural valley communities of the KwaZulu-Natal province in South Africa, where he volunteered as a Youth Ambassador with World Vision, saw him return to Melbourne in 2003 moved to bring about social change. 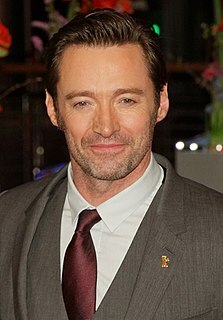 In 2008, Evans graduated with law and science degrees at Monash University. In 2003 Evans, together with Nicolas Mackay established The Oaktree Foundation, an Australian-based non-government organisation that provides aid and development to countries in need across the Asia Pacific and African regions. Oaktree is run by young people aged 16 to 26, overseen by an advisory board, and has since grown into an effective vehicle for youth advocacy in Australia providing for education in developing countries. Evans was the inaugural chief executive officer, standing down in 2008, and continues with Oaktree in an advisory capacity. Evans' early inspiration and support of Oaktree was provided by St Hilary's, a large evangelical Anglican parish in the eastern suburbs of Melbourne. Inspired by Al Gore's successful film An Inconvenient Truth, Evans and Simon Moss established the Global Poverty Project, a community education group that aims to increase awareness of, and action towards fighting extreme poverty. The Global Poverty Project was started in 2008 with a US$60,000 grant from the United Nations and an A$350,000 grant from AusAID. Included in Evans' activism for the Global Poverty Project is the Make Poverty History campaign and concerts in Australia. In 2001, Evans was one of sixteen Australian representatives to participate in The Hague International Model United Nations (THIMUN) held in The Hague, Netherlands; and in 2003, he was awarded the Young Victorian of the Year. The following year, Evans was named as the Young Australian of the Year for his contribution in promoting youth advocacy through the founding of The Oaktree Foundation. In 2004 Evans was also awarded the title of an Outstanding Young Persons of the World, one of ten young people recognised annually by the Junior Chamber International. Evans award for humanitarianism and/or voluntary leadership in that year was shared with Queen Rania of Jordan and Ch'ng Joo Beng of Malaysia. In 2008, Evans, together with the federal Minister for Youth, Kate Ellis MP, served as co-chair of the 2020 Youth Summit, a precursor to the 2020 Summit. 2016 - Delivered TED talk titled What Does it Mean to be a Citizen of the World? ^ Russell, Dalia Majumder; Rohini Uppal (2011). "Class of 2001 Jottings" (PDF). Quadrangle: Woodstock School Alumni Magazine. CIV: 98. Archived from the original (PDF) on 8 April 2014. Retrieved 8 April 2014. ^ a b c d e Farouque, Farah (15 March 2008). "Out to change the world". The Age. Australia. Retrieved 14 October 2012. ^ Hewitt, Rachel (10 May 2008). "Sowing seeds of change". Herald Sun. Retrieved 14 October 2012. ^ West, Andrew (29 August 2012). "New CEO for the Oaktree Foundation" (transcript). Religion and Ethics Report. Australia: ABC Radio National. Retrieved 13 October 2012. ^ White, Cassie (25 June 2009). "Gen Y-not tackles world poverty". ABC News. Australia. Retrieved 14 October 2012. ^ "Australia to launch global anti-poverty campaign". The West Australian. AAP. 18 May 2009. Retrieved 14 October 2012. ^ Rowbotham, Jill (17 September 2008). "Young and ready to change world". The Australian. Retrieved 14 October 2012. ^ "Global Poverty Project CEO to speak at WCU, kick off campus effort". Western Carolinian. United States: Western Carolina University. 19 August 2011. Retrieved 14 October 2012. ^ "Second Hour: Hugh Evans" (MP3 audio). Sunday Nights. Australia: ABC News. 5 July 2009. Retrieved 14 October 2012. ^ Khadem, Nassim (2 July 2003). "A man with his mind on the world". The Age. Australia. Retrieved 14 October 2012. ^ "Young Australian of the Year 2004". National Australia Day Council. Retrieved 28 January 2014. ^ Crabb, Annabel (26 January 2004). "Driven by poverty, powered by youth". The Age. Australia. Retrieved 14 October 2012. ^ "Young Australian of Year". The Sydney Morning Herald. AAP. 26 January 2004. Retrieved 14 October 2012. ^ Wade, Matt (26 January 2004). "We must all fight for justice, says young winner". The Sydney Morning Herald. Retrieved 14 October 2012. Interview with Hugh Evans (MP3 audio) on Sunday Nights (Australia: ABC News). 3 January 2010. Peter John Hollingworth is an Australian retired Anglican bishop. Engaged in social work for several decades, he served as the archbishop of the Anglican Diocese of Brisbane for 11 years from 1989 and was the 1991 Australian of the Year. He served as the 23rd Governor-General of Australia from 2001 until 2003. He is also an author and recipient of various civil and ecclesiastical honours. In 2003 he became only the third Australian governor-general to resign, after criticisms were aired over his conduct as Archbishop of Brisbane in the 1990s. Kevin Michael Rudd is an Australian former politician who was the 26th Prime Minister of Australia, serving from December 2007 to June 2010 and again from June to September 2013. He held office as the leader of the Australian Labor Party. Rania Al-Abdullah is the queen consort of Jordan. Born in Kuwait to a Palestinian family, she later moved to Jordan for work, where she met the then prince Abdullah. Since marrying the now King of Jordan in 1993, she has become known for her advocacy work related to education, health, community empowerment, youth, cross-cultural dialogue and micro-finance. She is also an avid user of social media and she maintains pages on Facebook, YouTube, Instagram and Twitter. She has two daughters and two sons and has been awarded various decorations by governments. Gareth John Evans AC, QC, is an Australian international policymaker and former politician. An academic lawyer and barrister by profession, he represented the Australian Labor Party in the Senate and House of Representatives from 1978 to 1999, serving as a Cabinet Minister in the Hawke and Keating governments from 1983 to 1996 as Attorney-General, Minister for Resources and Energy, Minister for Transport and Communications and most prominently, from 1988 to 1996, as Foreign Minister. He was Leader of the Government in the Senate from 1993 to 1996, Deputy Leader of the Opposition from 1996 to 1998, and remains one of the two longest-serving federal Cabinet Ministers in Labor Party history. Waleed Aly is an Australian writer, academic, lawyer, media presenter and musician. Aly is a co-host of Network Ten's news and current affairs television program The Project, he writes for Fairfax Media, and is a lecturer in politics at Monash University working in their Global Terrorism Research Centre. In 2016, he won the Gold Logie Award for Best Personality on Australian Television. Lin Hatfield Dodds, Australian social policy expert and former Churchill Fellow, is the Deputy Secretary for Social Policy in the Department of Prime Minister and Cabinet, and former National Director of UnitingCare Australia and Chair of the Australian Social Inclusion Board. Mal Fletcher is a media/social futurist and commentator, keynote speaker, author, business leadership consultant and broadcaster currently based in London. He holds joint Australian and British citizenship. The PeaceJam Foundation is an international organization whose mission statement is "to create young leaders committed to positive change in themselves, their communities, and the world through the inspiration of Nobel Peace Laureates who pass on the spirit, skills, and wisdom they embody." The PeaceJam program was launched in February 1996 by co-founders Dawn Engle and Ivan Suvanjieff to provide the Nobel Peace Prize Laureates with a programmatic vehicle to use in working together to teach youth the art of peace. This foundation supports young people working for change through peaceful acts, giving them a platform by which they can be heard. Stella Jane Young was an Australian comedian, journalist and disability rights activist.